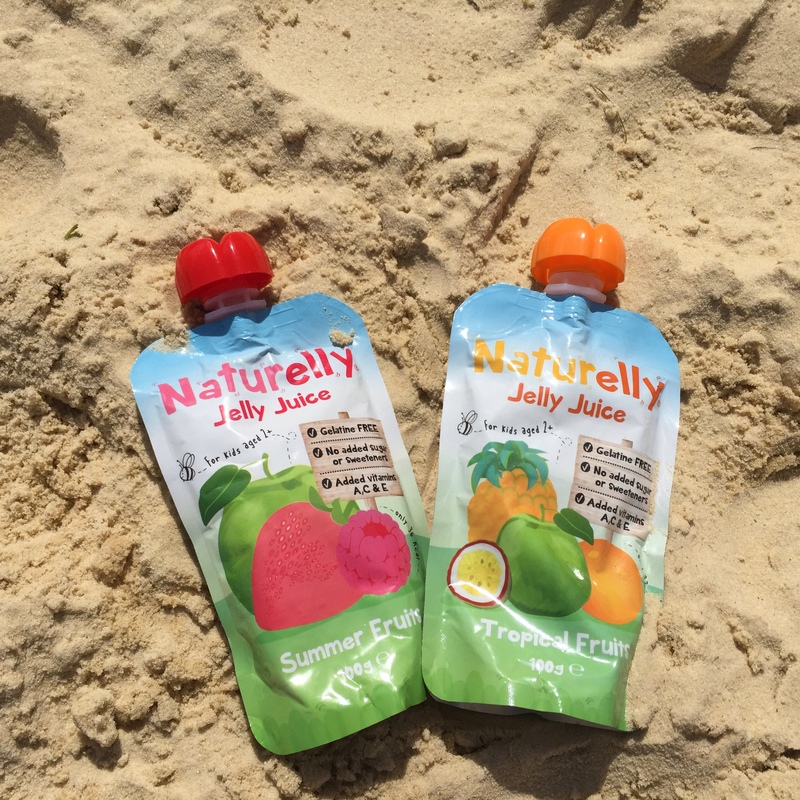 Naturelly's Jelly Juice Totally Tropical flavour is a refreshing blend of real fruit juice and gellan gum - a natural dietary fibre. Slurp us the sunshine with pineapples, apple, passion fruit and orange! It has added vitamins(A, C, E), suitable for children over 1 year. This jelly juice naturally helps fill up little tummies until meal time and helps stop those cravings for sugary snacks. It's a school approved product and it's been approved by the vegetarian and coeliac societies too. It comes with no added sugar or sweeteners, has only 7g of naturally occurring fruit sugars and 36 kcal per pouch. 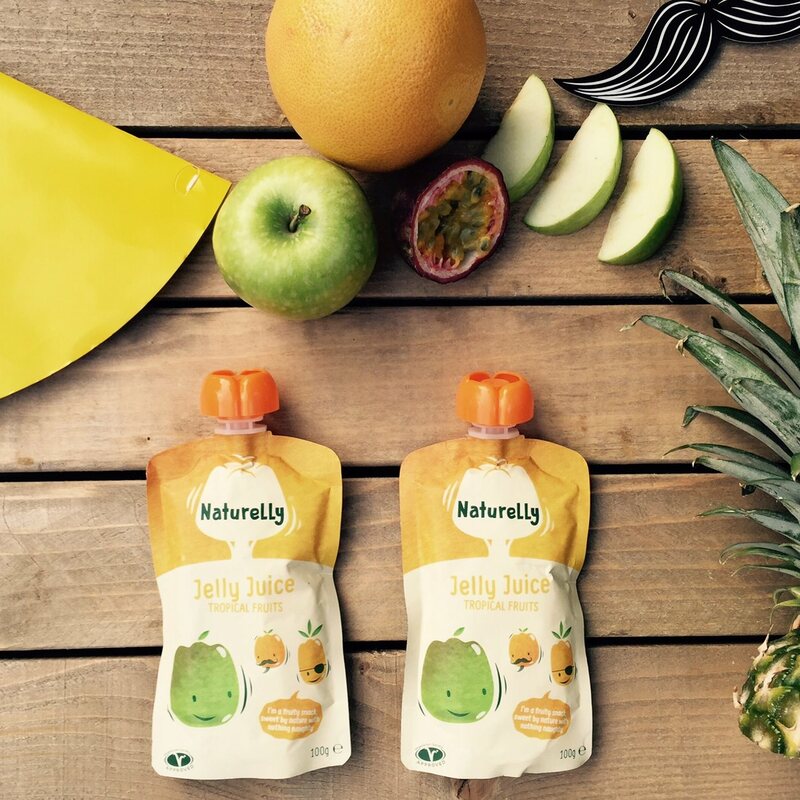 Naturelly is free from gelatine, gluten, wheat, dairy and nuts. Available to buy in quantities of 12, 24, and 36 pouches (100g each). Apple juice from concentrate (38%), Water, Orange juice from concentrate (22%), Apple puree (8%), Pineapple juice from concentrate (2.5%), Passion fruit juice from concentrate (0.5%), Thickener: Gellan Gum, Natural Flavouring, Acidity regulator: Malic Acid, Antioxidants: Vitamin A,C&E. Per 100g:Energy: 37 kCal / 156 kJ, Protein: 0.7g, Carbohydrate: 8.5g, of which sugars: 7.7g, Fat: <0.1g, of which saturates: <0.1g, Salt: <0.1g. A fun and fruity treat that’s sweet by nature with nothing naughty.